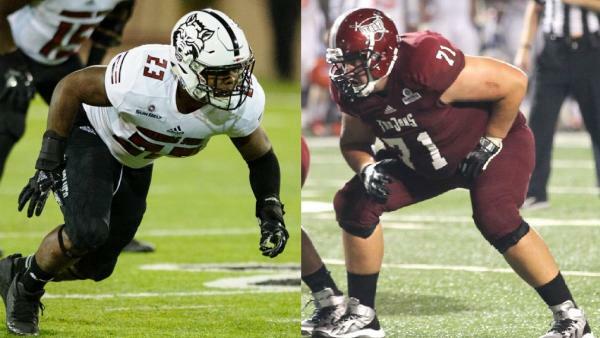 Troy boasts one of the best offensive lines in the country in pass protection. Arkansas State may be even better at getting after opposing quarterbacks. Football games are won and lost in the trenches. It’s an old adage that is as fitting today as it ever has been. The game continues to grow and develop and change, but this truism never has. Brandon Silvers has actually outperformed what his raw production would suggest, this season. Adjusted for drops, throwaways, and spikes, his completion percentage jumps from 63.6% to 73.2%, which is second in the Sun Belt and just .3% behind Georgia State’s Conner Manning. However, his passer rating drops over 84 points and his adjusted completion percentage drops almost 26%, when under pressure. Both fall down amongst the nation’s bottom tier. Moreover, while Troy is very efficient running the ball, they throw at the 23rd highest rate in FBS, on standard downs, and the 14th highest rate on passing downs. This trend will likely continue, whether or not they want it to, against an Arkansas State defense that allows the second fewest yards per carry in the conference. Basically, it’s imperative that Brandon Silvers is, of course, kept upright, but also, and almost as importantly, isn’t running for his life. Generally, that shouldn’t be a concern for a team whose offensive line ranks in the top 20 in opponent adjusted allowed sack rate, with a 4% sack rate on standard downs (44th in FBS), and 3.1% rate on passing downs (5th), whilst also allowing Silvers to be pressured at the fifth best rate in college football, 19.8%. Tackle Steven Rowzee and center Deontae Crumitie have set the standard, ranking third and first, respectively, amongst Sun Belt players at their positions in pass blocking efficiency. Then again, most teams don’t wreak havoc like Arkansas State. Ja’Von Rolland-Jones, sitting just a couple of sacks shy of the FBS career sack record, leads the way for the Red Wolves. He and fellow edge rusher Ronheen Bingham rank first and second in the Sun Belt, and in the top twelve in the country, in pass rush productivity among edge rushers, according to Pro Football Focus. No other team has two players in the top 35. On interior pass rushes, Caleb Caston ranks just outside the top 30 in FBS in pass rush productivity. As a unit, they are currently in the top five in the country in adjusted sack rate, on the legs of an 8.4% rate on standard downs (8th in FBS), and a 9.6% rate on passing downs (29th). There is nothing clever about saying that the Sun Belt title, or at least a share of it, will come down to whoever wins in the trenches, on Saturday.